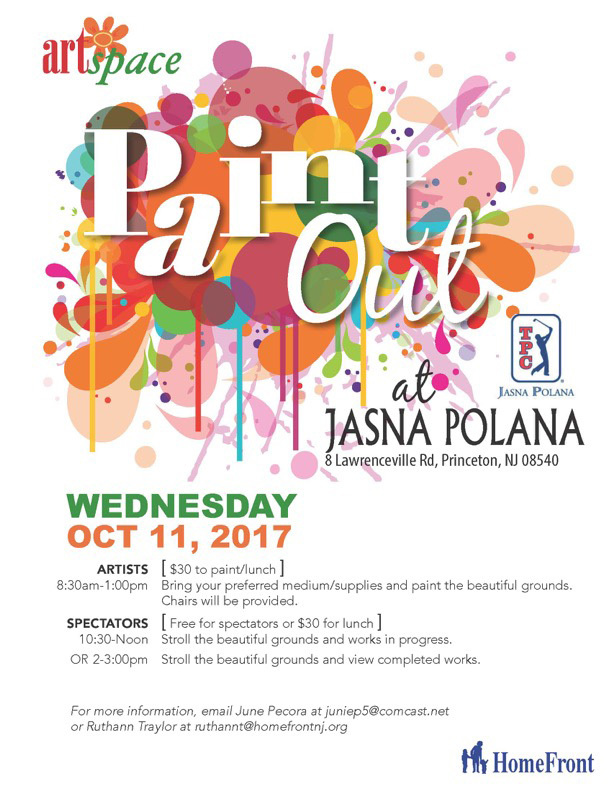 Please join us for the HomeFront ArtSpace 2017 Paint Out. If paying by check, be sure to mail your check at least a week before the event date. If that is not possible, please bring your check to the event rather than mailing it. Please indicate the purpose of your donation (e.g., Women's Luncheon 2016) in the memo line of your check. Spectators are welcome without charge 10:30 - Noon and 2-3PM.